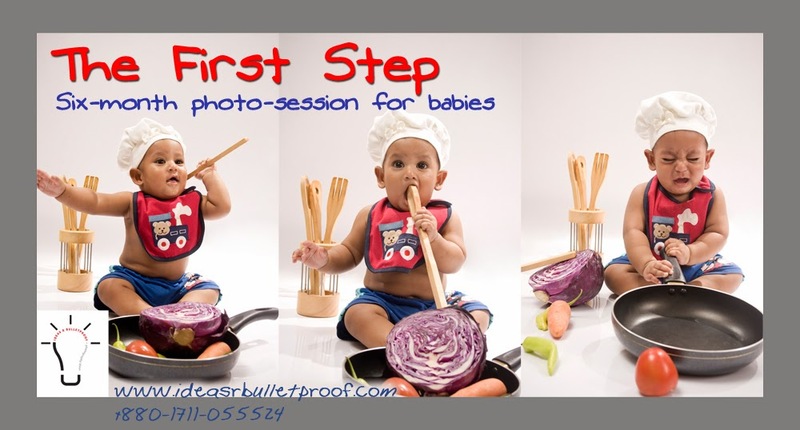 The photo-session would be at Idea House, Ideas_R_Bulletproof's home studio at Mohammadpur and would be done around six-month age of the baby. But the session would depend more on the preparedness of the baby. He/she should be able to sit on his/her own. This time is not the same for all the babies; some do it at around six months, whereas some do that a little after that. Typical time for the shoot would be around 2 hours. Time for the session may be extended under special circumstances. We usually include different themes for the session to make it unique. We talk to the parents before the session to develop those themes. 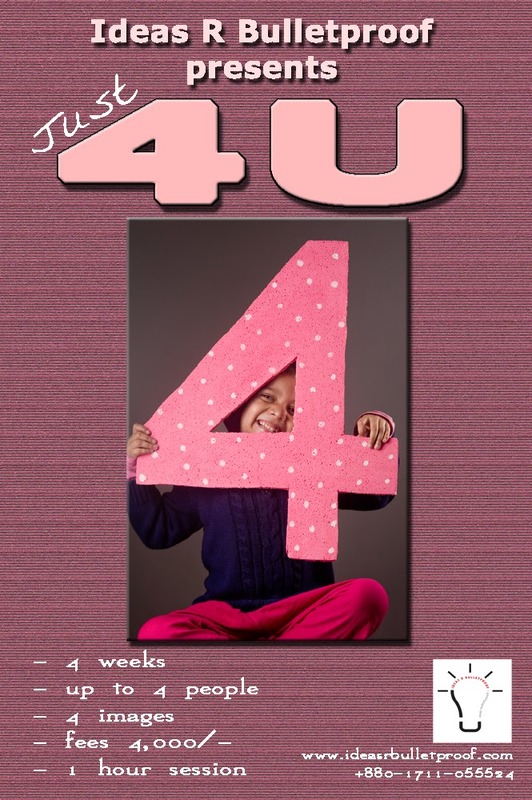 One to two wardrobe changes are acceptable for the baby as long as time doesn't exceed typical session time. 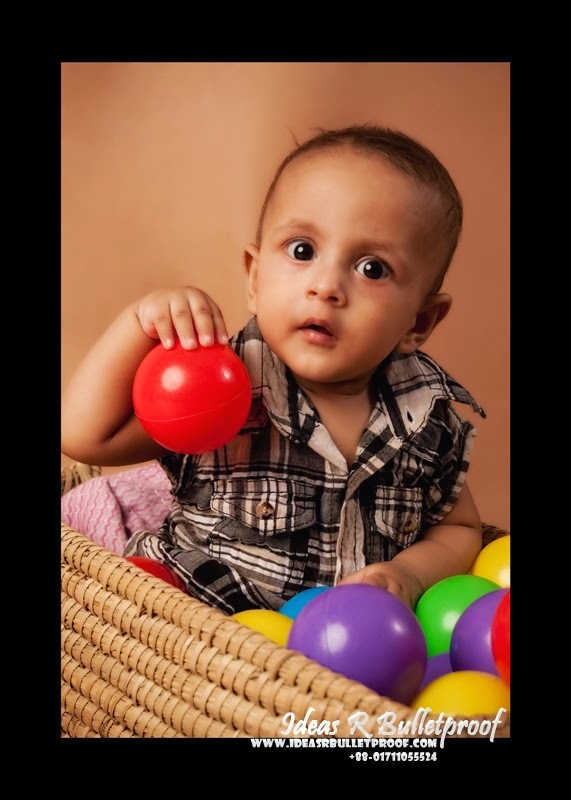 We would also include some group photos within the session with parents and siblings (not exceeding 4 people including the baby). a) One session with the above details. Its the time cost for the photography team along with cost of the studio setup and equipment. b) Session fee does not include products, which are described below. c) Also see the "Booking and Payment Procedure" section below. d) The sessions would be at Idea House, Ideas_R_Bulletproof's home studio. For location details, please call +880-1711-055524. This is a free session. Usually this is around a week after the session when the client would be able to see the photos in their digital format and choose the photos they like for the product deliverables. -Three 4L size (4"x6") prints would be complimentary (FREE). The Ideasrbulletproof Team would choose the images for the client and present the client during the viewing session. Photo-products* are not part of the session fee. Our photo-products start at BDT 2,000/- and goes up to what your mind desires (well, almost)!! Our photo products are ready to be hung on the wall or displayed on your desk or to be carried with you anywhere. These are the ultimate outputs that you take away from the sessions that you do with us. We invest time and effort to bring to you some of the most attractive photo products available in Bangladesh. We custom design the products to make them unique. Our innovation is continuous to come up with the most unique photo items. For some business reasons we do not post photos of our products online. So, to learn more about our products, please call us: +880-1711-055524. a) Just go to this link and follow instructions or give us a call at +8801711-055524. 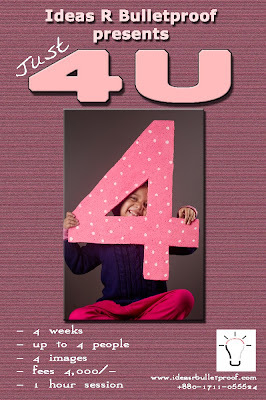 "Just 4U" - a NEW PROMO OFFER for families from Ideas_R_Bulletproof!! 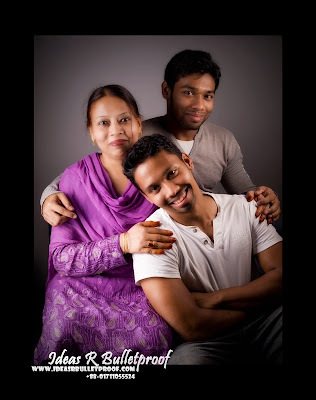 The photo-session would be at Ideasrbulletproof home studio at Mohammadpur and would be done in one single set-up. Set-up change cannot be handled within this one-hour session offer. We would suggest the set-up based on subjects and wardrobe. One wardrobe change is acceptable as long as time doesn't exceed session time of one hour. Time for the session may be extended under special circumstances. No theme-based photo-shoots would be part of this session. To avail those, we would suggest our other offers. 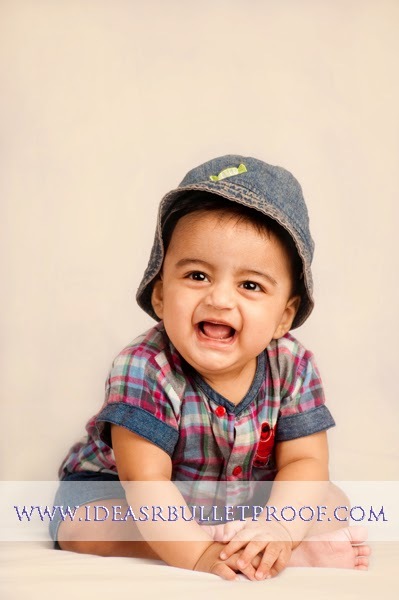 To have exclusive photo-session of you baby or children, please also take a look at our other offers. b) For only this session, we are including printed photo products, which are covered by this package fee! This fee does not include costs for additional products, which are described below. 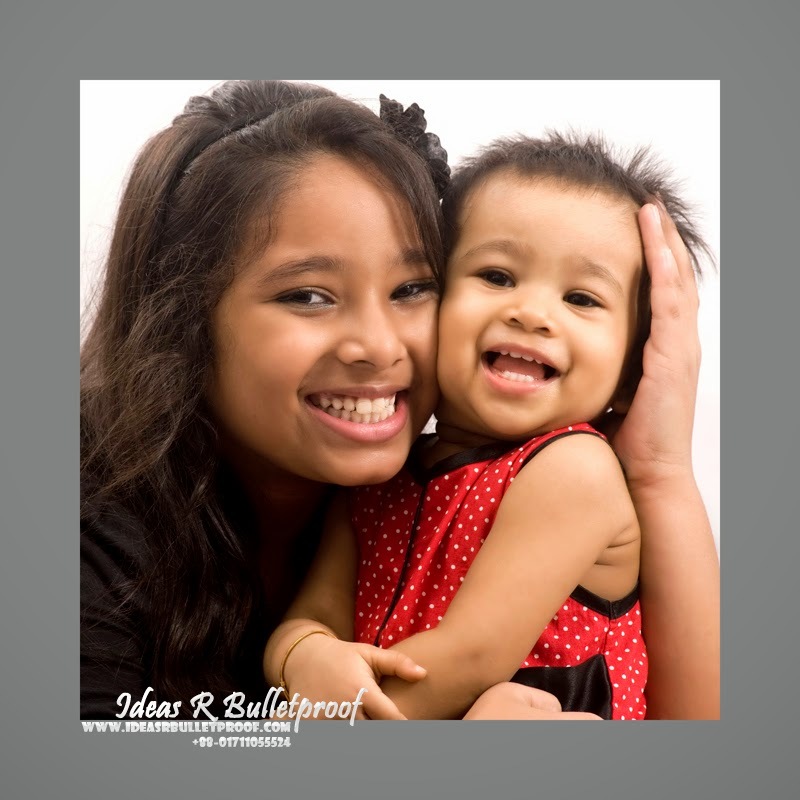 Additional costs would be applied if the client opts for more photo products. 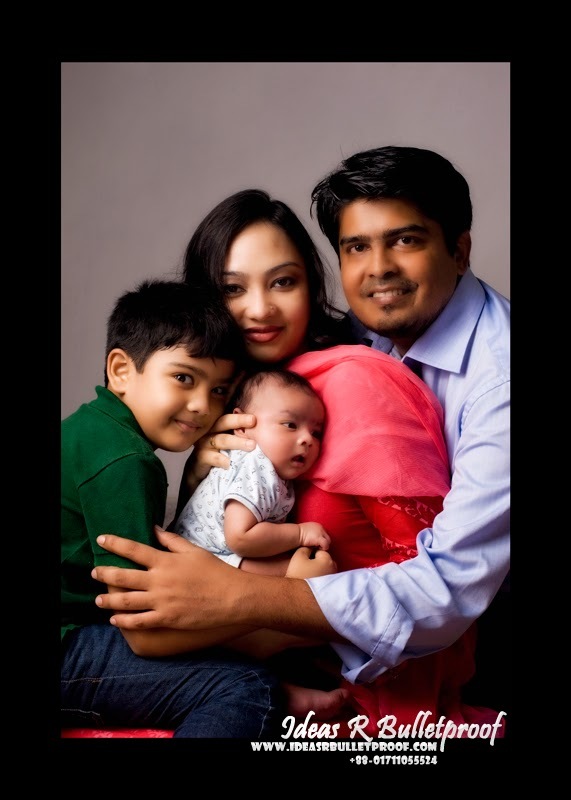 -One 6L (6"x9") image printed and custom-framed for display on desktop. -Three 8L size (8"x12") prints would be also be there in this offer, included within the 4k fee mentioned above. - Additional products would not be covered by the fee mentioned above. For additional products, please see below. Other photo-products* are not part of the session fee. Our photo-products start at BDT 2,000/- and goes up to what your mind desires (well, almost)!! Our photo products are ready to be hung on the wall or displayed on your desk or to be carried with you anywhere. These are the ultimate outputs that you take away from the sessions that you do with us. 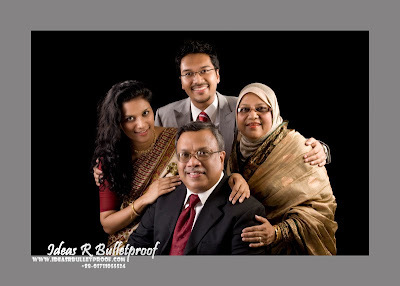 We invest time and effort to bring to you some of the most attractive photo products available in Bangladesh. We custom design the products to make them unique. Our innovation is continuous to come up with the most unique photo items. For some business reasons we do not post photos of our products online. So, to learn more about our products, please call us: +880-1711-055524. a) Just give us a call at +8801711-055524. 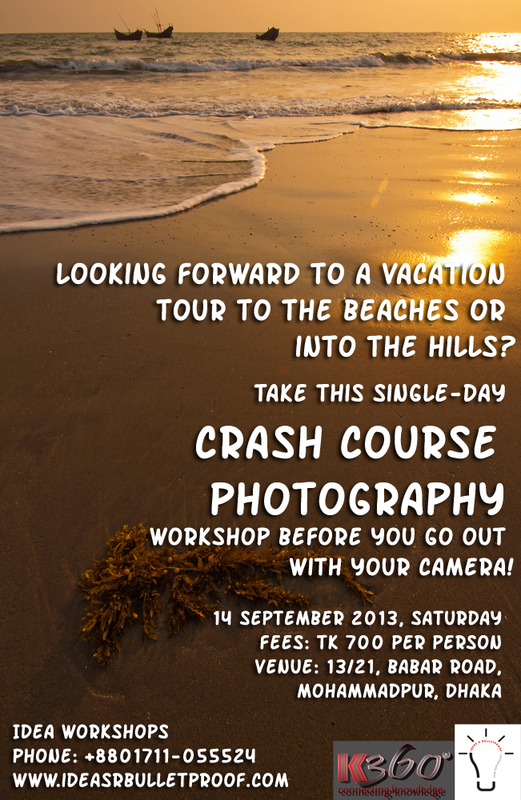 Idea Workshops announces another basic photo workshop! 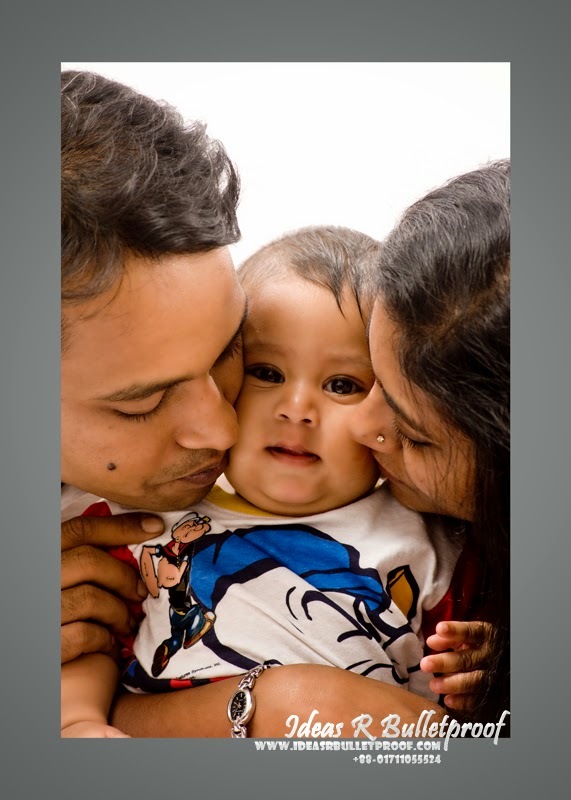 Our cameras have given us the power to perform miracles; to capture precious moments forever. But a camera is nothing if the knowledge isn't there to back it up. We all take photos while we go out on our vacations. Photos taken during those tours document some of the most enjoyable moments of our lives. We can't say that the photos weren't good enough after we come back! We can't say, "lets do the tour again!" Thus, the only way is to know how to best utilise the camera in hand! 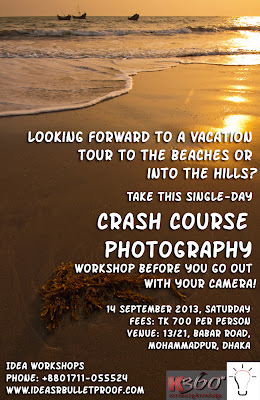 This particular workshop, "Crash Course Photography" concentrates on two points: 1. to know the basics of photography, and 2. to understand how to translate that knowledge into great photographs while on travel! This workshop differs from other basic workshops in that it always talk about how you can utilise the camera to take better photos on tour. Do you want a portrait session?